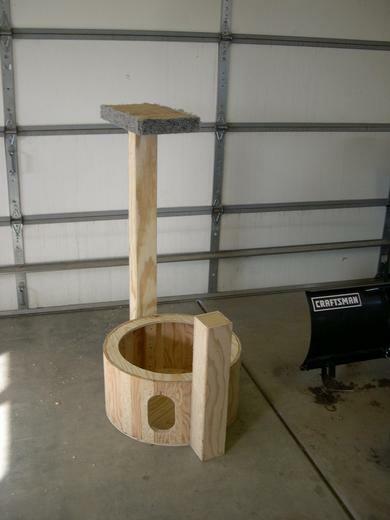 I decided to build a cat tree for Heidi and Gracie. Rhonda had made a round hooked rug recently, so I based the design around that. 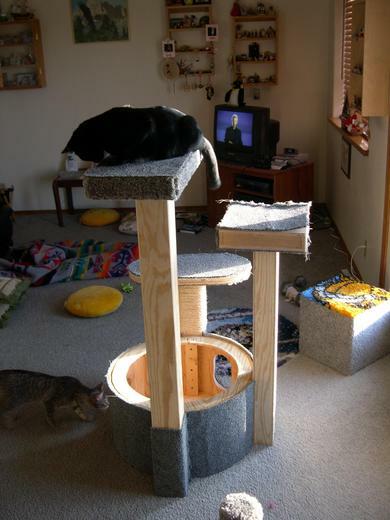 I also wanted the design to complement the cat cube I built a while ago. 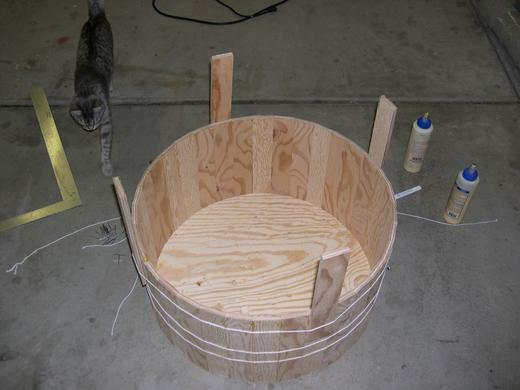 With a sheet of 1/2 inch plywood and some scraps of carpet I started, first by building a barrel-shaped tub the same diameter as Rhonda's rug. 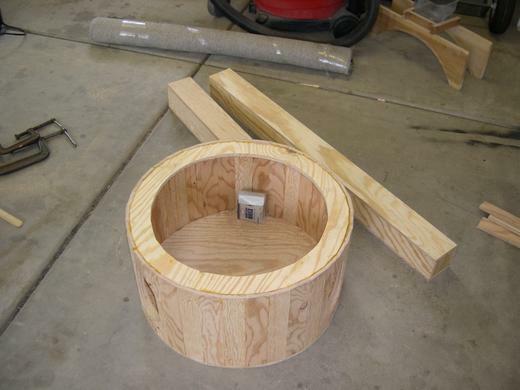 A ring supports the top of the tub, with an opening for a removable lid. You can see two of the posts in the background. 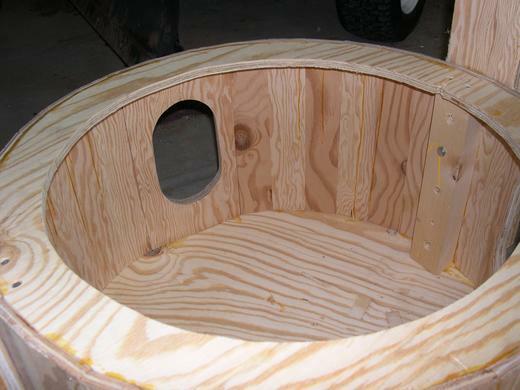 I made two doors in the tub for the cats to use. Here it is with two of the posts and one platform attached. The tallest platform is a little over four feet high. Heidi and Gracie check out the structure, in different stages of construction. You can see the cat cube (with Garfield's face on top) in the background of one of the pictures. Both cats seem to like their new toy. Total cost (in parts) a bit over $50, including $30 for the plywood, $10 for a carpet remnant and several 50 foot coils of sisal rope. 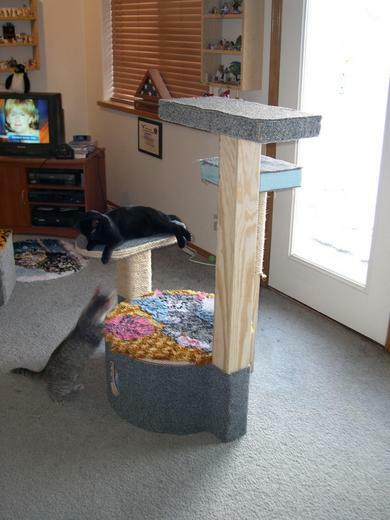 Not included: Cost of the hook rug kit, nails, screws, glue, staples or labor.